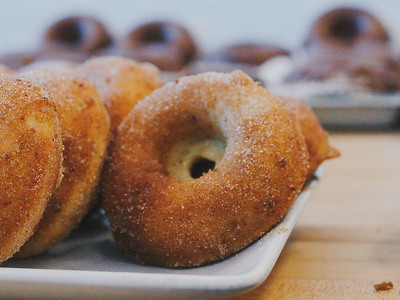 Melissa started Em's Sourdough Bread in Dayton, Ohio in 1993. She was a mother of three small children and wanted to work in the home so that she could also participate with all of the kids' activities. It worked out great. OK, it was hard, waking up at 4am to bake, getting the kids up and off to school, delivering bread, buying supplies and doing all of the things that mothers do, but she truly enjoyed it. Em's Sourdough Bread was sold at Dorothy Lane Market, Zink's Meats, Hidden Valley Fruit Farm and several other restaurants and small stores. Melissa's youngest was three at the time and he would go on deliveries with her. He would also sit in on any business meetings. At one point he asked the manager of the local Kroger's store if he could have his own shelf to sell his bread, which he called "Washmush". The manager said yes and the "Washmush" became a big seller. Most people call it Cinnamon Rolls. In 1998, her husband was transferred to Shreveport, Louisiana so Melissa shut down the business. She continued to bake the bread in a wonderful cafe called "Cush's Grocery." Move forward 22 years and here she is, back at her roots. That starter has been with her through 3 houses in Dayton, 1 house in Shreveport and 3 houses in Cincinnati. It has gone on vacations with her, from Lake Erie to Colorado. Friends have watched it and at times, it has not behaved well. Once, while when Melissa was out of town, it exploded in her neighbor's refrigerator. It truly has had a life of its own. 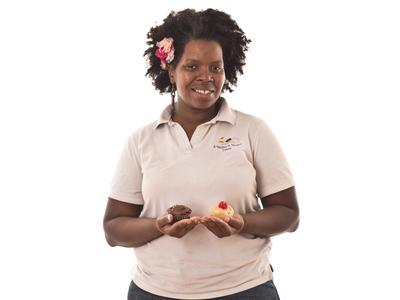 Melissa is at Plan B of her life and has decided to start baking again as a career. She says that her starter has decided to cooperate with her on this journey and has grown to its' former glory. She hopes you all enjoy it! 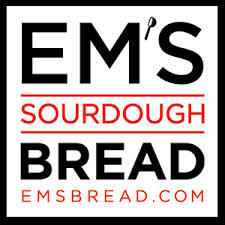 Any feedback is welcome and you can reach her @ em@emsbread.com.